Eva Delacourt is an agent with the Section. The Section is a small arm in the British Intelligence community and considering the lethality that its agents show when threatened, it is not a simple fact-finding organization. Delacourt has been an operative in very good standing for some time but three years before the adventure depicted in three volumes takes place, she dropped out and went into officially sanctioned hiding. Since then she has moved every six months or so to a different country, staying in British ex-pat communities to not stand out too much, all to avoid the hit squads that were hunting her. Prior to her going on the run, she had been assigned as a "close protection officer" to what was described as an information courier who was acting as a conduit for the Brits, the Yanks, and other interested parties. It was not just the man, Doug, she was guarding, though. There was Doug's young son. As can happen, Delacourt and her protectee fell in love and were going to be married. Then, despite her excellent skills, he was assassinated and she and the boy were also known to be targets. When a subordinate comments that the trouble which appeared at Delacourt's door that morning must have been because she had made a mistake, his superior countered that "Eva Delacourt doesn't make mistakes". His opinion is borne out by the fact that when a team of six trained bad guys went after her, she alone walked away. Now that the danger they were trying to avoid has come at both of them full bore, Delacourt has decided to take the fight to them and, like the man said, she doesn't make mistakes. Oh, one little fact I didn't mention. Before she decided to take a break and work on the protection side of things, Delacourt was the Section's best assassin so when it comes to action, she knows a thing or three. For the past three years, Eva Delacourt and her six-year-old boy have been hiding from the men who killed her fiancé and want to do the same to them. Now someone at the Section where she once worked has given up her location and the two are on the run again. There is seldom the breathing time needed to think as Eva Delacourt and her small team struggle to stay alive while racing over Europe looking for who in the Section has betrayed them. As the net draws tighter bring Eva Delacourt and her friends closer to death, the people behind the threat might have remembered how dangerous a cornered animal can be and Delacourt is an especially well-trained one. 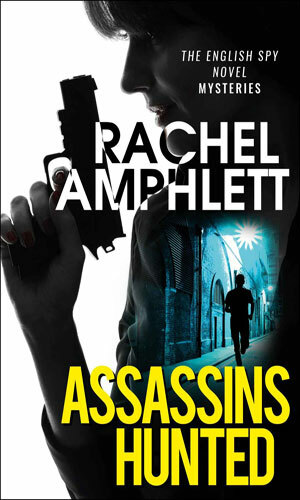 The blurb I first read on this series on the author's website read: "The English Spy Mysteries is a new concept by acclaimed crime thriller author, Rachel Amphlett. Combining fast-paced thrilling reads with episodic delivery in the vein of TV shows 24, Alias, and Spooks, series 1 is a must-read for fans of Robert Ludlum, Len Deighton, Vince Flynn, and James Patterson. The spy novel series features Eva Delacourt, a resilient female spy who finds herself on the run after three years in hiding." I was intrigued. Elsewhere I had seen the series referred to as the English Spy Trilogy so the fact it was a 3-parter did not come as a surprise and when you really get down to it, must trilogies are just one huge story told in three chunks. This author's twist was just to make it seem more like a television series. I applaud! Except that I hope there are more. 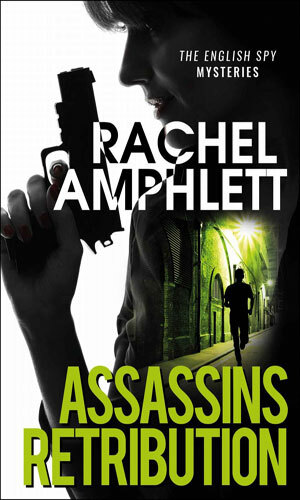 This is greedy, I know, but Rachel Amphlett is a darned fine writer with exciting plots, great characters, terrific writing, and awesome timing. You can tell I am a fan.